Last night I was doing lessons as usual, and it came time for my first student (Megan) to start working on the curve ball. She threw a couple, then told me she wanted to ask me about a drill she’d learned at a college pitching clinic the previous week. For the drill, the pitcher stands with her back to the catcher, starts her arm circle (which will be going out toward third and then first base for a right handed pitcher), then twists her upper body and delivers the ball to the plate. She was told she should hug herself when she was done. I looked at her doing the drill, imitated the movements, and gave her the thumbs up. In fact, I thanked her for showing it to me because I plan to use it with other students. See? I’m not completely set in my ways! I was happy with this whole encounter for a couple of reasons. First, Megan asked me what I thought of the drill before really incorporating it into her routine. She’s a HS pitcher and we’ve only been working together for a short time, so it was good to see that the rapport is there and she trusts my judgement. That’s always important in the coach-player relationship. She wanted to be sure, I think, that it didn’t teach something that I didn’t want her doing. Since her pitching has been improving she’s generally bought in to the idea that I know what I’m doing. The other is this is the first time I’ve seen anyone teaching the same mechanics I do for the curve ball. The normal curve I’ve seen has the pitcher start the wrist snap behind the back hip and then come around it. (That’s a poor description but you get the general idea.) I’ve always found the movement to be fairly minimal with that method, so I teach pitcher to actually cut the circle off at the top, drive the elbow down toward the bellybutton, and when the elbow is “pinned” snap around it. You get more dynamic movement that way, and once pitchers learn to cut the circle off instead of bringing it all the way back it eliminates a lot of the problems of the pitch going wildly inside. The drill Megan showed me encourages the same arm path and pivot point I teach, and makes it pretty easy to feel. The only thing that’s really different is I like the front shoulder to stay in, angled toward the back of the batter’s box on the throwing side (RH batter’s box for a RHP), so you end up throwing around it. I call it throwing around the corner. But that’s a trifle, and I am not worried about that part of it crossing over into the actual pitch. It’s not necessarily a drill I would do every time, but then again I don’t really do particular drills every time anyway. I prefer to keep drills for specific teaching moments or to correct specific problems. For the pitcher who’s having trouble getting the feeling, though, I think this one is a keeper. I will definitely add it to my arsenal, and can thank Megan for bringing it to me. I love it when the student becomes the teacher! Here we go, as-promised, my review of the book The Talent Code by Daniel Coyle. Its premise is that talent isn’t something you’re born with — it’s something you acquire over time. High performers are the result of practicing a particular way (deep practice) for 10,000 hours, or roughly 10 years. I had heard about the book a couple of years ago, and then again recently. Howard Carrier (aka Hitter) recommended it to me too, so I figured it was time to take the plunge and added it to my Christmas list. The book examines three parts of being a high performer. The first is the deep practicing I just mentioned. High performers tend to practice differently than most. They break down a skill into pieces, and work through the individual pieces. When they practice, the part of their body that is most fatigued at the end is their brains because of the effort they go through to understand what they’re doing. They make mistakes as part of the learning process, and each mistake takes them closer to their ultimate goal of performance. The second part is ignition — getting the performer to perform. Getting him/her excited in a way that leads to the desire for that performance level. The final part is master coaching — someone pointing the way and helping them along. It really is a fascinating study of the way people learn, and the way performance is brought out in some and not in others. Coyle spent a lot of time visiting talent hotspots — Brazillian soccer training, musicians on the east coast, baseball players in the Caribbean — in an attempt to look for the commonalities and see if there are particular things that make it happen. He also looks at research that has been done on how people learn as additional datapoints. Some of it is the same as I read in Talent is Overrated, which covers some of the same ground. But each book presents a facet of the jewel, helping the reader gain a better understanding of the factors behind great performers. The book is an easy read. Coyle’s style is to illustrate by telling stories rather than lecture, and he makes it easy to move from one topic to the next. He also adds some personal insights from his own life and family that show he not only took the intellectual pursuit, but also applied the principles himself. If you are interested in what drives high performers to achievement, or you want to improve your own coaching to help your players, I highly recommend this book. It will give you a whole new perspective on practicing. I understand that. No one likes to go to the plate and strikeout. It’s the ultimate failure — you had three (or more) shots at hitting the ball and missed on all of them. But really, strikeouts are a part of the game. Since all of fastpitch softball is essentially built on failure and your ability to overcome it, hitters have to learn to get past the immediate feeling and go on with the rest of the game. Otherwise they’re not going to have too much fun. Unless it’s becoming a habit, in which case they probably need to work on seeing the ball better. So to help her gain a little perspective, I gave her a Babe Ruth quote: Every strikeout brings me one at bat closer to my next home run. That got me to thinking. I know the Bambino hit 714 homes runs in his career, a record that stood for many years and was considered unbreakable until Hank Aaron broke it. But how many times did The Sultan of Swat strikeout? The answer, according to the Baseball Almanac , is 1,330. Or almost twice as many times as he hit home runs. That’s a lot, isn’t it? Must put him pretty close to the top of the list, right? Not even close. The Babe actually sits at #95, just behind Dean Palmer and just ahead of Deron Johnson. Which of course begs the question who are your all-time leaders? Surely they must be some pretty bad players. Well, first of all in order to make the list you had to have a lot of at bats, which really bad players don’t get. That narrows it down some. In truth, the top 10 all-time includes some names you might recognize. In order, they are: Mr. October Reggie Jackson (with a whopping 2,597); Jim Thome; Sammy Sosa; Andrews Galarraga; Jose Canseco; Willie Stargell; Mike Schmidt; Fred McGriff; Tony Perez and Mike Cameron. Lots of Hall of Famers on that list. Thome and Cameron are still active too, so they have a chance to move up. Right behind these guys is a player whose swing is often used as the model youth baseball and softball players should follow: good ol’ A-Rod, Alex Rodriguez. That’s probably not news to you Yankees fans. 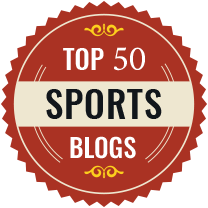 Other prominent names in the top 50 include Lou Brock, Mickey Mantle, Adam Dunn, Derek Jeter, Barry Bonds (the current career home run record holder) and Willie Mays. Even Pete Rose, who holds the all-time record for hits in a career with 4,256 struck out 1,143 times. If you’d like to see the full list, you can find it here. It definitely puts things into perspective as you check out your favorite superstars and see how often they struck out too. The point, though, is they didn’t let it get them down. They just put it behind them and went on to the next at bat. That’s what fastpitch hitters have to do too. You can say you’re taking your cue from the Hall of Famers, and the greatest to ever play the game. In my last article for Softball Magazine, I used one of my favorite little teaching devices to talk about the importance of commitment to what you’re doing. The article focused on what is the difference between bacon and eggs. The answer, of course, is that the chicken is involved, but the pig is committed. 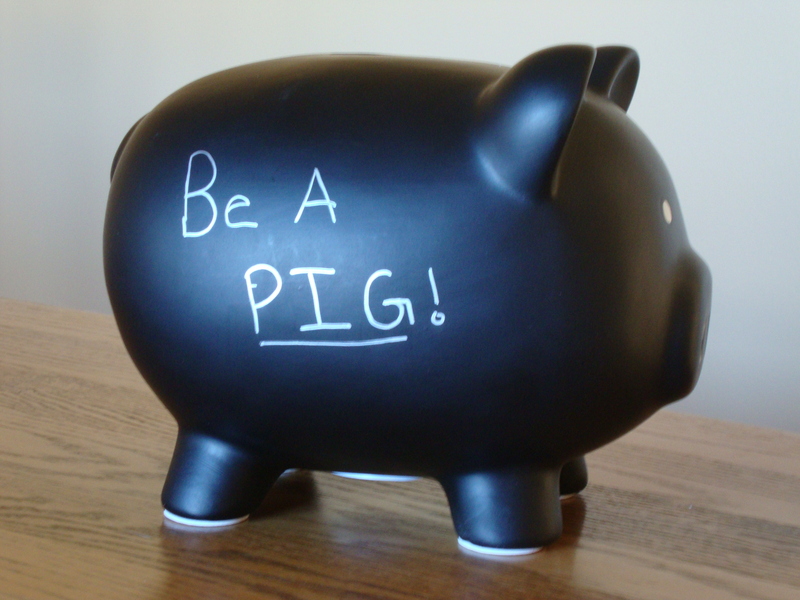 I finished, as I do in lessons or team practices, by telling readers they should be the pig. I do know that message got through to at least one of my students. I usually get a box of extra Softball Magazines when they come out, so I will distribute them to my students. This one was no exception. Each of my students received a copy of the magazine, including a girl named Erin who is new with me this year. Obviously the article made an impression on her and her family. Hopefully she’s living it too! But this was so cute I just had to share. I love it when a plan comes together!